I first watched Chris playing the enjoyable-looking (and hugely popular) Xbox 360 zombie survival game State of Decay, I've wanted to dive in and play it. But I've also wanted to wait for it to come to PC. Good news, then: The game is certainly going to arrive on Steam, though it's still not clear when. 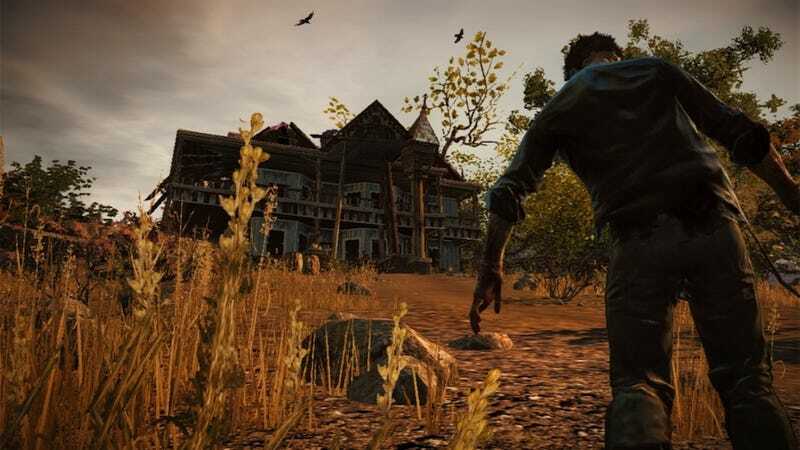 As spotted by PCGamesN, one of State of Decay's main makers Jeff Strain had this response for Xbox Wire when asked, "What's next for State of Decay?" We're currently working on a PC version for release on Steam. Fortunately it's been in development alongside the Xbox 360 version since Day 1, so we just need to integrate with the Steam platform and add native support for keyboard and mouse control. We'll also continue to issue Title Updates at a fast pace to refine game balance and fix bugs. This comes a week and a half after Undead Labs community director Sanya Weathers told Rock, Paper Shotgun “We are still working on the PC version, and I don’t have a really good estimate for completion. Too much depends on third parties. It isn’t going to be soon by any meaningful use of the word ‘soon’." So, the game is definitely, really and truly coming to PC. Yay! And it sounds like it's going to take a little while. Boo! Between this and the upcoming standalone version of DayZ, PC gamers are gonna have are going to have more than enough zombie games to play. Wait, what am I talking about? There's no such thing as "enough" zombie games. Anyone out there deep into the 360 version? How's it going?